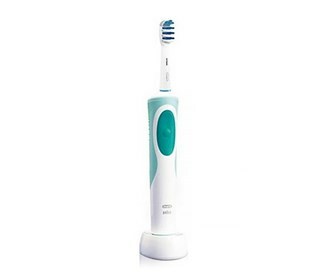 The Oral-B D12513DS vitality deep sweep rechargeable electric toothbrush uses 2D cleaning (sweeps back and forth) action for removing more plaque than a manual toothbrush. This rechargeable toothbrush is designed to give you triple-cleaning action and its deep sweep motion sweeps away plaque and provides cleaning and gum care. The Oral B Deep Sweep Power has many exciting features for users of all types. 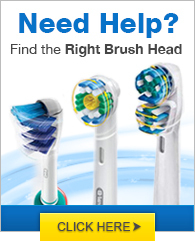 See the Oral B Deep Sweep Power gallery images above for more product views. FactoryOutletStore stocks a full line of accessories like BreathRx Antibacterial Mouth Rinse, BreathRx TongueScraper, and BreathRx Whitening Toothpaste for the Oral B Deep Sweep Power. The Oral B Deep Sweep Power is sold as a Brand New Unopened Item.